Carnot Watches is named for the Boulevard Carnot in Cannes, part of the famed Basse Corniche coastal road. According to their site, they seek to evoke the glamour of the Côte d'Azur at an affordable price. 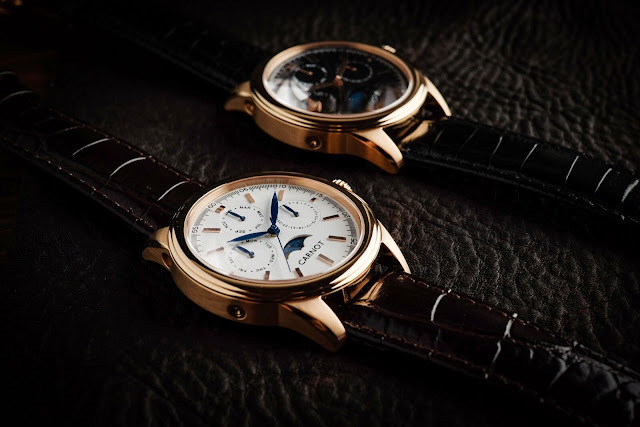 This is a tall order, as the French Riviera is known for being as expensive as it is beautiful, but the Carnot Riviera rises to the challenge with classically styled, calendar and moon phase dress watch for $499 list, $349 pre-order. 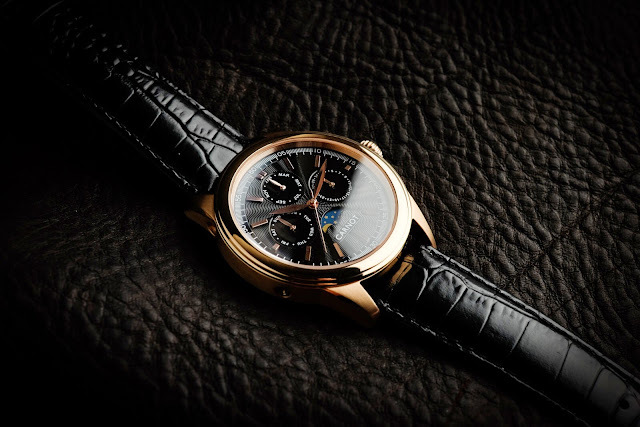 The Riviera is a mid-size dress watch, driven by a Swiss made Ronda 706.3. This is a jeweled, gold-plated quartz movement with a 5-year battery life and end-of-life indicator. It is a traditional, mid-sized dress watch. The stainless steel case measures 40 mm across and a slender 8mm thick with a slightly domed sapphire crystal. Water resistance is 50 meters. It arrives on an appropriately dressy crocodile embossed leather strap, 20mm wide, tapering to an 18mm signed deployant clasp. Options include black or white dials and polished or gold finishes. I have not yet seen one up close and personal, but I like what I see in the photos. 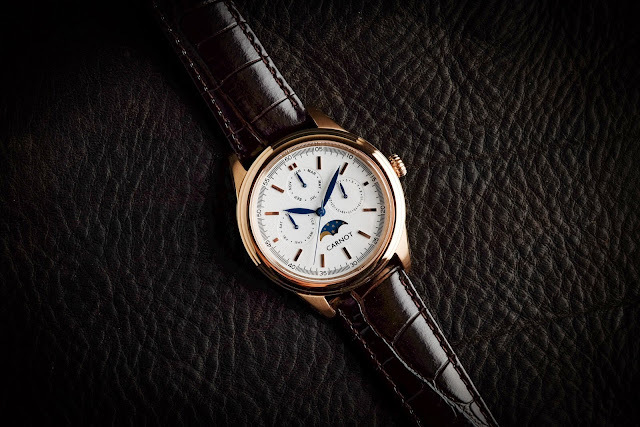 The applied gold markers and guilloche dial set the right tone, and I believe little dome adds a great deal of refinement. 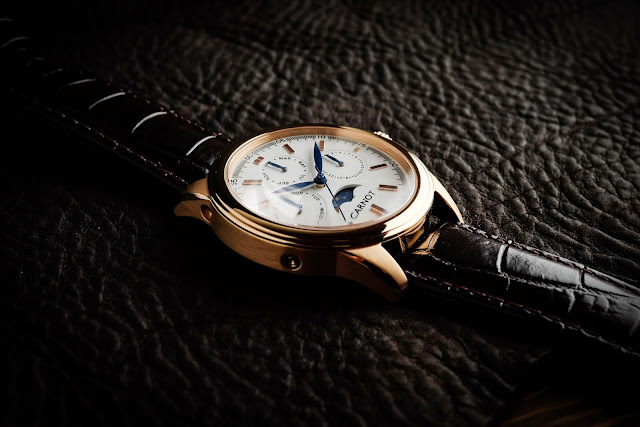 The Carnot promises to be a classy little dress watch for a very reasonable price. You can pre-order yours at http://www.carnotwatches.com.